The 500 metre deep upper Grose Gorge displays the classic valley profile of sandstone cliffs above forested slopes of softer sediments and talus. “the Valley of the Grose could, in a few years, be transformed from a riot of scrubland to a hive of industry conveniently situated at what has been aptly described ‘the back door of Sydney’”. Williamson’s Grose Valley Development Syndicate was proposing that the valley’s timber and coal resources be extensively exploited and that a power station be built there. Many other development plans have threatened the Grose Valley over the last two centuries, including several dams, the western railway, and roads. Perhaps the greatest value of the Grose Wilderness is that despite such threats and despite its proximity to Sydney, it has remained largely intact. 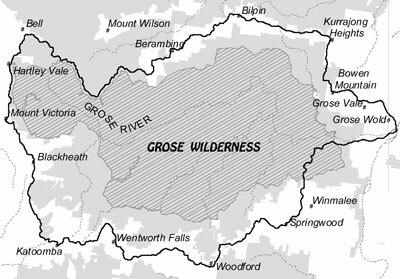 The Grose Wilderness was declared on 11 May 2001. 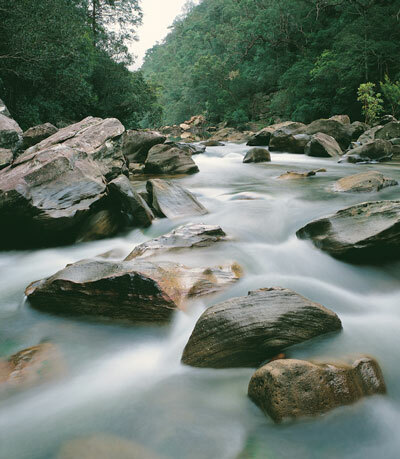 It encompasses about 37,900 hectares mostly within the catchment of the Grose River, named after Lieutenant Governor Major Francis Grose, who in 1793 sent William Paterson on an expedition to see if the river provided a navigable route through the Blue Mountains. Paterson soon gave up when found himself in a river chocked with boulders, surrounded by rugged hillsides. The Wilderness is bounded, more or less, by the built up areas of the Blue Mountains townships in the south, the Darling Causeway in the west, the Bell Range in the north, and the Hawkesbury country in the east. as named by explorer George Caley. While best known for the iconic cliff-bound gorge of the upper part, to the east it encompasses a maze of ridges and ravines that are less spectacular but perhaps more like a wilderness in the “bewildering” sense. 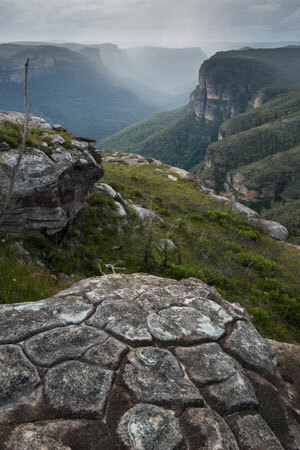 The Grose Wilderness falls entirely within the Blue Mountains National Park, which was declared in 1959. However, the natural values of the area were recognised long before that. In 1875 the upper parts of the catchment—including the spectacular valley that most people are familiar with—was reserved to preserve the quality of the water in case a dam should ever be built, but in doing so it was recorded that that “the Grose Valley is a National Spectacle”. Indeed, a key value of the Grose Wilderness is its scenery, whether viewed from Perrys Lookdown, Balzter Lookout, Mount Banks, Faulconbridge Point or several other high places; or from the depths of the valley itself. 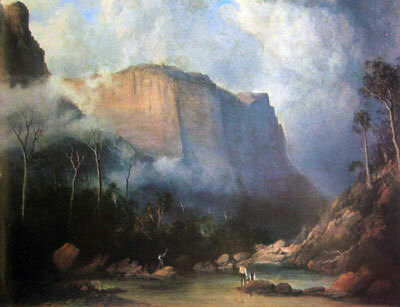 In 1875 an expedition organised by Eccleston Du Faur led to the production of a number of remarkable works by the artist William Piguenit and photographer Joseph Bischoff, looking up from the forests and streams to towering cliffs above. In 1932 the Grose arguably became the “cradle of conservation” in NSW, when Blue Gum Forest was reserved after a lengthy campaign by bushwalkers who had discovered that a lessee planned to clear the trees. 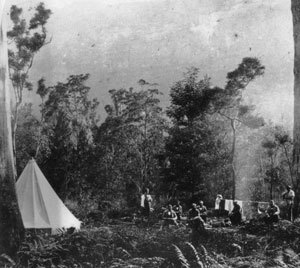 Bushwalkers still gather in the forest on the anniversary of the reservation, in recognition of its historic importance. Bushwalkers were far from the first to gather there, however. This is the country of the Dharug and Gundungurra peoples. Tool scatters in the valley prove that the people spent time there. Through the Wilderness generally there are dozens of recorded Aboriginal sites, variously featuring stone artefacts, axe grinding grooves, engravings, pigment art, stone arrangements, wells and stone quarries. A particularly significant site complex has been recorded at Asgard Swamp near Mount Victoria. 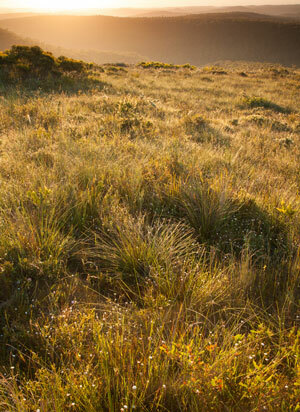 The Grose Wilderness, though measuring less than 4% of the Greater Blue Mountains World Heritage Area, contains a wide spectrum of the natural values that the Heritage Area is known for. Geologically, it spans from Permian rocks in the depths of the valley, upwards through the gullies, cliffs and ridges of Triassic sandstone, to the basalt caps of Mounts Hay, Banks, Caley, Strzelecki and Bell. 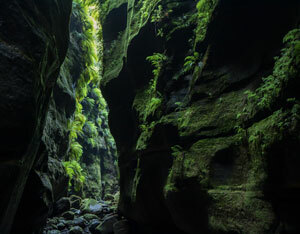 Many slot canyons including the famous Claustral Canyon fall within the wilderness. of fire-induced heathland and sedgeland. These different geological and topographic environments, together with the altitude range—from a little over sea level to over 1060 metres—support a broad range of vegetation communities variously involving wet and dry sclerophyll forest, rainforest, woodlands, wet and dry heaths and sedgelands. Eucalypt species abound. Despite some past selected logging and other isolated impacts, the vegetation communities remain substantially in their natural condition, although the frequency of intense wildfire constitutes a persistent threat. The existence of several ridge-top management trails caused some controversy when the wilderness was under consideration. It was decided to close some of the trails to protect the wilderness values. In other cases the trails were preserved as fingers into the wilderness: the prime examples are the Mount Hay road (retained to provide public vehicle access) and the Faulconbridge Point trail (which provides for management and bicycle access). Controversy also arose in connection with the established bushwalking tracks into the valley and their high level of use, and also from the existence of the popular Acacia Flat camping ground near Blue Gum Forest. 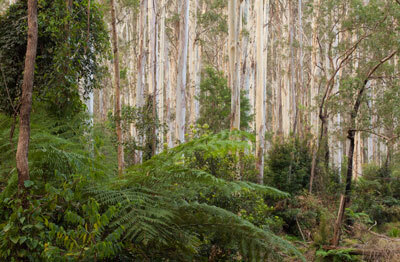 Bushwalking is a self-reliant activity and therefore consistent with wilderness values. However, large numbers of walkers tend to detract from the opportunity for quiet and solitude which others might otherwise expect in wilderness, while the constructed tracks may themselves be seen as an anomaly in wilderness. 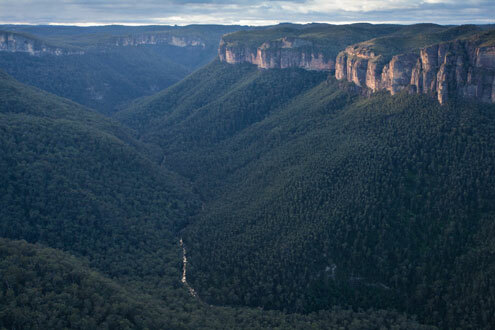 In declaring the Wilderness therefore, the Govett Gorge arm of the valley—the part below Govetts Leap and Evans Lookouts—was excluded. The boundary follows the tracks into the valley from Perrys Lookdown and Lockley Pylon. This means that larger parties can continue to walk those tracks and camp at Acacia Flat, or explore the historic tracks within the Govett Gorge. Elsewhere, however, party size restrictions apply. 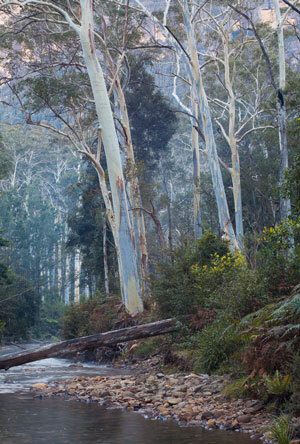 The original Blue Gum Forest itself falls within the wilderness, providing an easily accessible but quiet place to contemplate Williamson’s “mountain temple” and the majestic cliffs which surround. But whether one enjoys the Grose Wilderness from the perspective of the Forest, or from a more remote spot down the river, or some obscure gully or ridge, or simply from one of the escarpment lookouts, it is reassuring to appreciate that this special area was never seriously impacted by roads, railways, dams and resorts - and nor should it ever be. NSW NPWS 1998, “Assessment of the Grose Wilderness”, NPWS Sydney Zone. Macqueen, Andy 2007, “Back from the Brink: Blue Gum Forest and the Grose Wilderness”, Andy Macqueen.